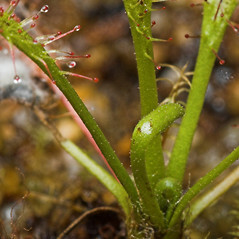 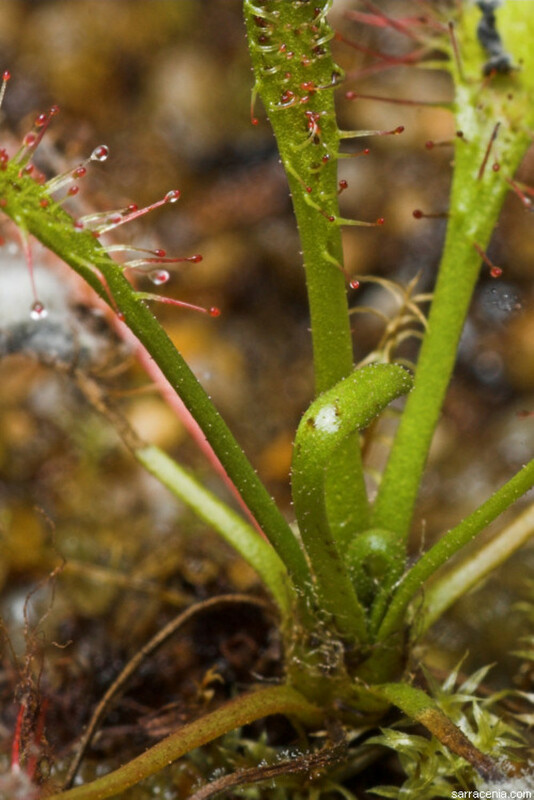 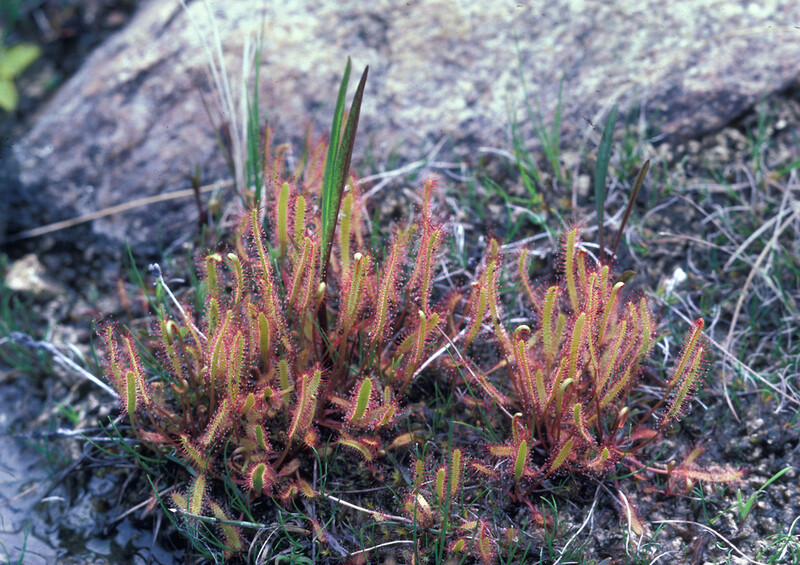 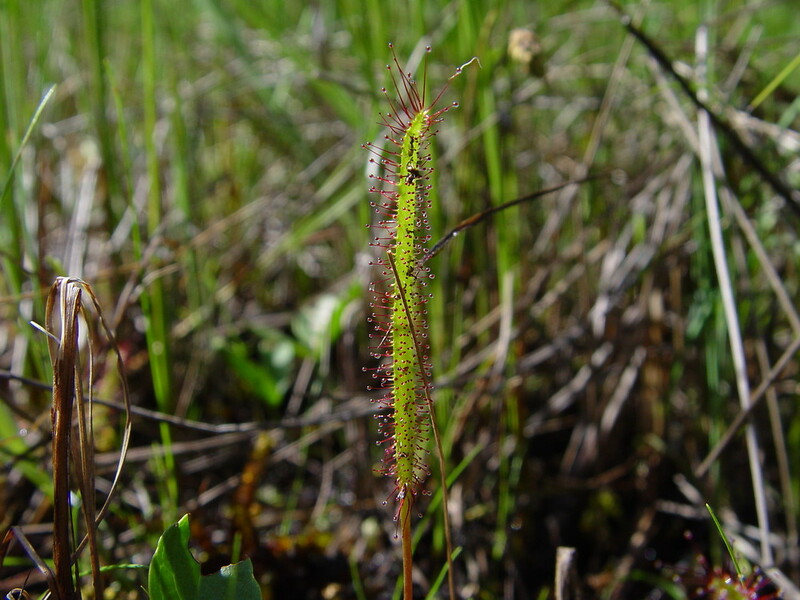 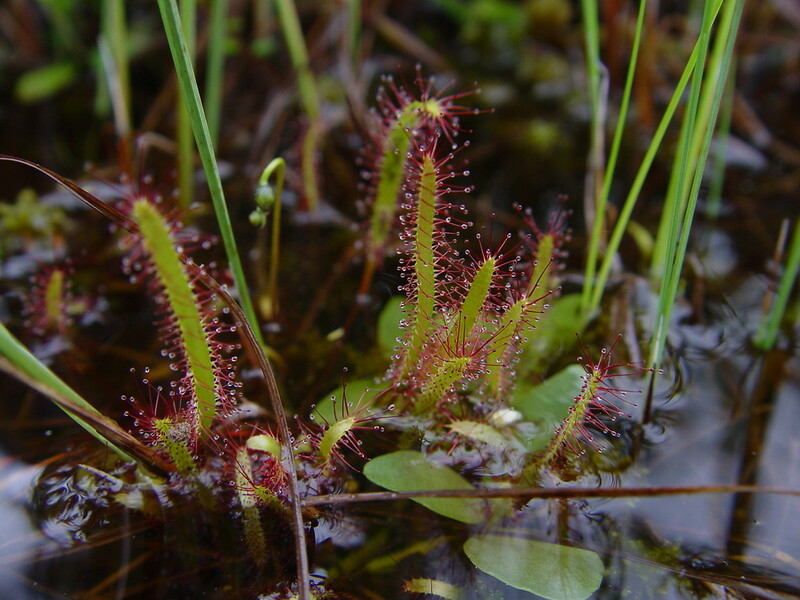 Slender-leaved sundew is one of two sundew (Drosera) species endemic to North America. 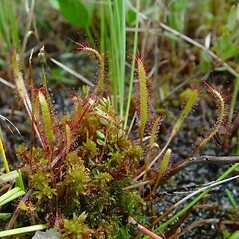 It ranges across Canada and into a few northern states, including Maine, where it is a rare inhabitant of circumneutral fens and river shore seeps. 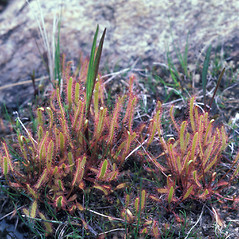 leaf blades filiform, scarcely differentiated from the petiole and petals purple, 8–15 mm long (vs. D. linearis, with leaf blades broad-linear, clearly differentiated from the petiole, and petals white to pink, 5-6 mm long). 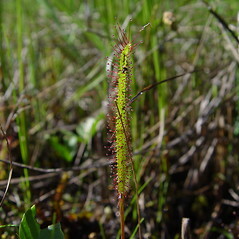 slender-leaved sundew. 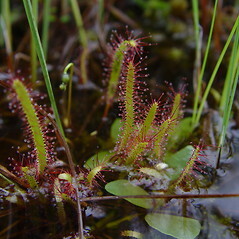 ME; northern portion of state. 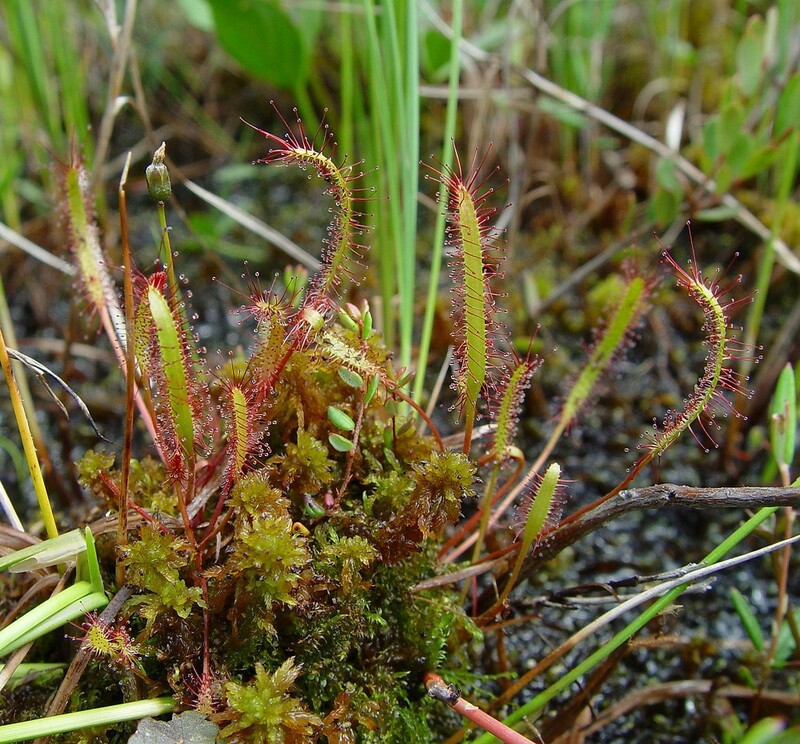 Circumneutral fens, seepy river shores.